An unguided activity for friends and families to have fun and discover the city. Keep your eyes peeled and race against the clock! This is an unguided activity. One of the Freya’s Florence team will meet you to explain the rules and set you up with the hunt booklet and map of the city. You have two hours to complete the hunt. The questions will take you to different sites located in the historical centre. When you have finished (maybe before 2 hours) or, at the end of two hours (time limit for the hunt) you will meet the Freya’s Florence team in a designated caffe marked on your map, to work out the score. This is great for all ages. It is great for families or for couples who wish to compete against one another or for corporate team building. It works well with only one party (for example: one family or one couple) competing against the clock only or with two or more parties competing against each other AND the clock. 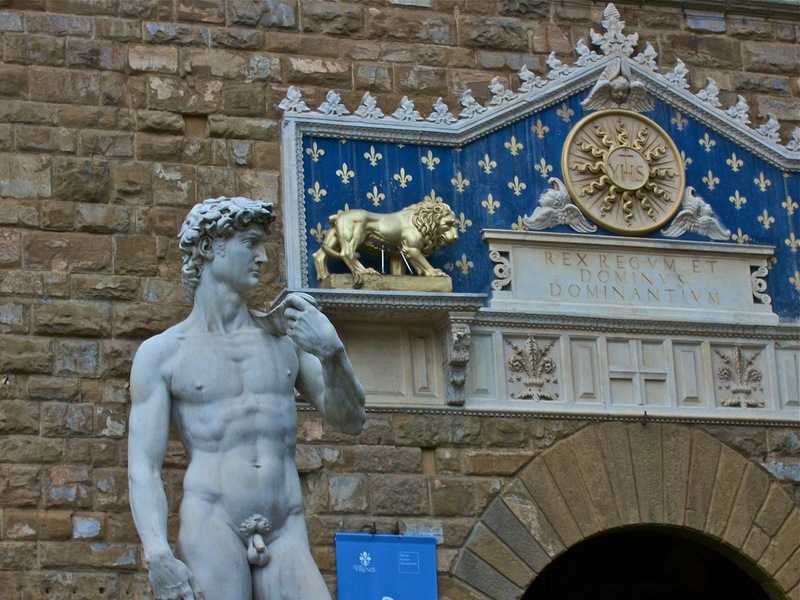 The scavenger hunt doesn’t require any prior knowledge of Florence but is also great for repeat visitors to the city and for locals! It is great fun when done alone or as an addition to a tour with us. WHEN DO WE RUN THE HUNT? It runs Monday – Friday. At the moment we don’t offer this on the weekend (Saturday & Sunday). MINIMUM AGE RECOMMENDED From experience it is best to be 7 years or older to actively participate and enjoy the hunt and be able to answer the questions. WHAT DO YOU NEED? Comfy shoes for walking & a digital camera or a smart phone. You will need to take photos along the way in order to complete some of the questions of the hunt and you will need to show these photos to our staff afterwards. This is an internet free activity so no checking facts or help can be asked from cyber space. You will meet one of our team at a central location to receive the hunt booklet and map and to start the clock. After completing the hunt, or when two hours is up, you will meet one of our staff at a local caffé that we like in the historical centre to work out the score and go through your work. These locations will be communicated via email upon booking. The scavenger hunt costs 160€ for groups until 6pax inclusive. For groups greater than 6pax it is 160€ + 25€ for every additional adult & 20€ for 11-17yrs (inclusive) & 15€ for under 11yrs. Payment for the Scavenger Hunt can be made in cash at the end of the tour directly to the guide, or in advance by PayPal with an additional 5% to cover the PayPal fees. A Scavenger Hunt and tours booked within ten days of the date of the tour must be paid in advance by PayPal. When does the Scavenger Hunt run? It runs Monday – Friday. At the moment we don’t offer this on the weekend (Saturday & Sunday).